When it comes to translating pop culture icons into theoretical guest stars on The Simpsons, there's simply no beating Dean Fraser's Springfield Punx blog. Having already illustrated several versions of Batman and his rogues gallery in the past, Fraser's taken a full week to illustrate the cast of the Caped Crusader's latest (and greatest) videogame incarnation, Batman: Arkham City. As usual, the SP blog does a great job of highlighting the details that make its source material recognizable and dropping it into an animated world populated by people with only four fingers. 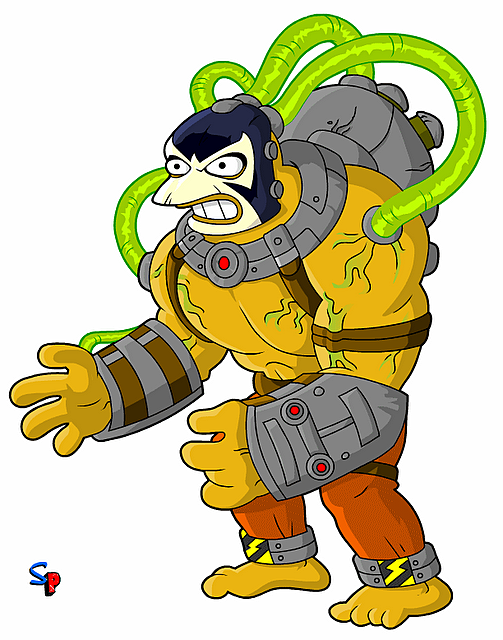 Check out the Springfield Punx spin on Batman: Arkham City after the jump.